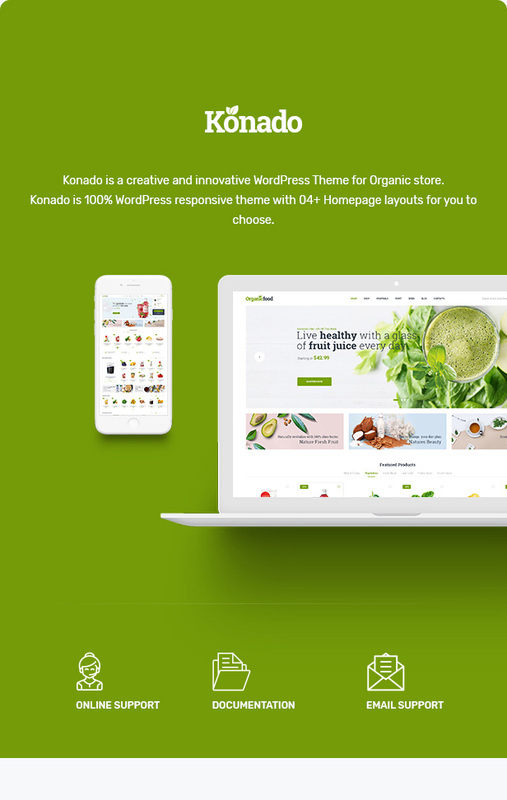 Konado WordPress theme was designed for the most trending theme of the modern day society that has been purposely built for all types of organic products related to farms, farmer, food retail, food company, organic food, seed, fruits, etc. 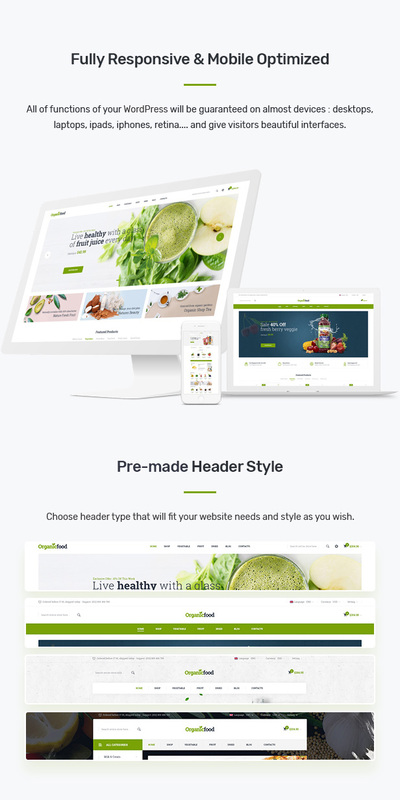 It’s fully responsive and Retina ready and mobile-ready to ensure that your website will look stunning and work smoothly across all modern devices to give your users an amazing viewing experience. It comes with 4 home pages and many inner pages. The theme features and its various options give you an amazing opportunity to interact with your clients and customers. Firstly, you can create both vertical and horizontal mega menu and add advanced submenu to items of both menu types. 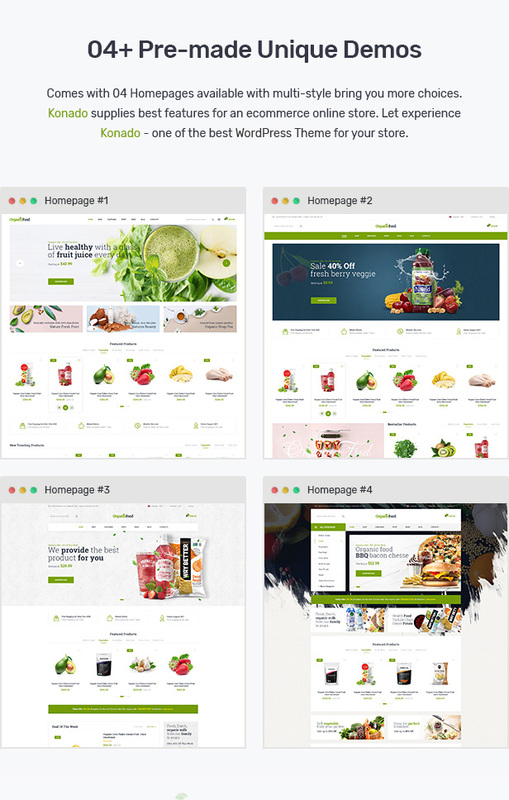 Next, Organicfood theme has a large slideshow comes with smooth transitions of texts and nice images for you to showcase your hottest and newest advertising trends to immediately catch your customer’s hearts. Information blocks are nicely and neatly display for your customers to easily find the information they need. Besides, Organicfood has Slider Options feature that show products in your shop in a tidy and professional way. 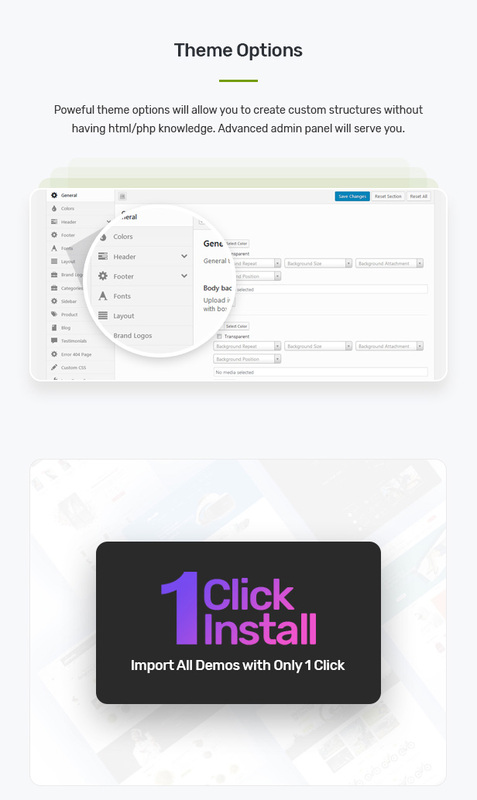 Finally, Daily Deals module was integrated in this theme with a timer countdown feature thereby making your customers buy more of your products. Fully supported with detailed documentation, video tutorials and support team you will be created your perfect organic WordPress theme.